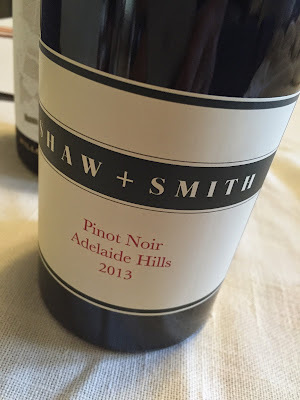 I’ve been critical previously of a tendency for the Shaw + Smith Pinot to look a little too ‘dry reddish’ and lacking some delicacy. Adam Wadewitz mentioned last year that Shaw + Smith were picking earlier now and the benefits are on display here. A lovely pinosity – anything but a big and ripe style, though there is just the faintest whiff of bacon from a warm year. Still, this is framed by its acidity, the fruit in the rhubarb, cherry and cinnamon end of the spectrum too. I liked this more every sip, the vibrancy unexpected for what initially seems ripe and overwrought. There’s still a sensation that this isn’t an unforced wine – though few Adelaide Hills Pinots are – but a vast improvement compared to previous vintages. Would I buy it? Not quite. One and a half glasses.